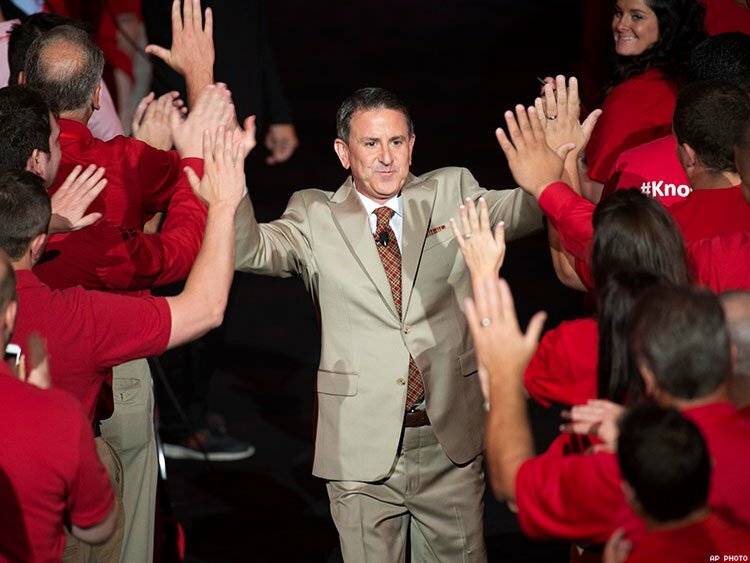 In the face of a conservative boycott, Target CEO Brian Cornell reaffirmed his belief that diversity is good business. Target CEO Brian Cornell told Fortune magazine on Wednesday that the retail chain’s decision to allow transgender customers and staff to use the bathroom that most closely corresponds with their gender identity hasn’t hurt sales. On April 19, the big-box store reaffirmed its longstanding equal access policy for trans people in all its facilities, confirming that trans employees and customers are free to use the restroom that best matches their gender identity. The timing of the statement came in response to House Bill 2, the controversial North Carolina law that requires transgender people to use bathrooms and locker rooms in public buildings that do not match their gender identity. Under HB 2, trans women using facilities in North Carolina government buildings or state-owned property are required to use the men's restroom, while trans men are required to use the women's restroom. Cisgender (nontrans) residents are permitted to continue using the facilities that correspond with their gender identity. In response to that decision, certified anti-LGBT hate groups like the American Family Association threatened a boycott of the store, collecting a supposed 1.2 million signatures to condemn the company’s trans-inclusive policies. However, there is no way to verify the validity of the signatures on that petition, and Zack Ford at ThinkProgress LGBT reports that he was able to sign the petition three separate times, using clearly false names and email addresses that do not exist. That plunging stock value was part of a rough first quarter for the retailer, with Target posting sluggish overall sales. In a previous interview, Target's chief financial officer Cathy Smith told reporters that the company “[had] seen a noticeable slowdown post-Easter,” as The Street reports. Prior to the policy change, 42 percent of consumers said that they were considering visiting Target the next time they make a retail purchase. Just 36 of potential customers were willing to say the same on May 14, according to data from YouGov. That’s a 16 percent drop in less than a month. But Kevin Dinino, the CEO of KCD, a PR firm based in San Diego, told Business Insider that these numbers shouldn’t be of major concern to a store that attracts 80 million visitors a month. No matter the end result, Cornell has said that Target will stick to its trans-affirming bathroom policy.